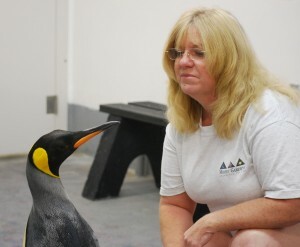 A Moody Gardens animal curator, who led a national effort to find homes for birds displaced by the Deepwater Horizon oil spill, was recently honored for her work by the national Association of Zoos and Aquariums (AZA). Diane Olsen, assistant curator at Moody Gardens’ Aquarium Pyramid, received the AZA’s “Outstanding Service Award” Sept. 15 in recognition of her leadership in coordinating an AZA bird rescue initiative in response to the oil spill this summer as well as working to place non-releasable birds in zoos and aquariums across the country. Olsen received the award during the organization’s 2010 national conference, which was held in Houston. Olsen’s efforts included rallying more than 150 volunteers from more than 75 AZA-accredited institutions to help with oil spill disaster relief along the coasts of Mississippi, Alabama and Florida. Although access was limited in some areas, Olsen said, the organization was able to rescue and find homes for nearly 30 birds. The Association of Zoos and Aquariums is a national, nonprofit organization dedicated to the advancement of zoos and aquariums in conservation, education, science and recreation. Moody Gardens is an AZA accredited institution. There are many things 8-year-old Reaghan Velasquez is unable to do being paralyzed from the calves down. 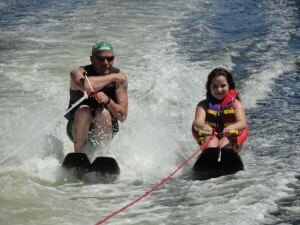 This weekend, she found out water skiing isn’t one of them. The Manvel third-grader was all smiles Saturday afternoon in Galveston as she traded her walker for water-skis for the first time. With excitement, she took off on Offatts Bayou, experiencing a moment of freedom she’ll likely never forget. Reaghan Velasquez (right) of Manvel enjoys waterskiing for the first time Sept. 11 alongside volunteer Tim Thelen of Houston at the 20th annual Moody Gardens Adaptive Sports Festival. Reaghan, 8, is paralyzed from the calves down. Reaghan was one of about 100 participants in the 20th annual Moody Gardens Adaptive Sports Festival. 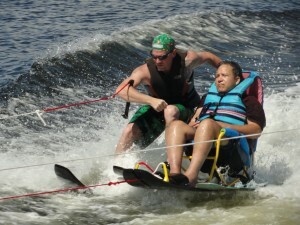 The event provides people with disabilities free water sports opportunities through the use of adaptive equipment. Along with water skiing, participants were able to kayak, sail, hand paddle and ride pontoon boats along the Moody Gardens property. The event was sponsored by Moody Gardens and staffed almost entirely by volunteers. Sail and pontoon boats were provided by private donors in the Kemah area. The adaptive water-skis were provided by Texas Adaptive Aquatics in Huffman. Roger Randall, president of Texas Adaptive Aquatics, said his equipment comes with different parts, such as seats, beginner boards and safety rails, which allow him to adapt water-skis to each person’s abilities. Felipe Ortez of Galveston (right) was one of about 100 participants in the 2010 Moody Gardens Adaptive Sports Festival. Changing the perception of what people with disabilities can do is exactly what Moody Gardens had in mind when starting Adaptive Sports Festival 20 years ago. Moody Gardens Marketing Director Jerri Hamachek said the event originated as part of the Moody Gardens Hope Therapy program, which for many years offered rehabilitative horseback-riding to mentally and physically disable individuals. Today’s Hope Therapy is centered on horticultural therapy – although the program has not been active since Hurricane Ike – and offering special events, such as Adaptive Sports Festival. Hamachek said the festival Saturday was just one way Moody Gardens works to give back to the community. For more information on Moody Gardens, visit www.moodygardens.org. To learn more about Texas Adaptive Aquatics, visit www.taasports.org. Posted on August 22, 2010 September 24, 2010 Author Moody GardensCategories GeneralLeave a comment on Rainforest Pyramid® Enhancement Underway! Moody Gardens will open a special new exhibit just in time for the summer vacation season. “Amazeing” Butterflies is scheduled to open Saturday, May 15 and will feature a maze and free-flying live butterflies. The exhibit is designed to teach visitors the life cycle, variety of species and survival challenges of the colorful insects. As soon as guests step inside the exhibit, they will be surrounded by hundreds of butterflies that are released daily. As they continue their journey, they will enter a maze through the huge monarch caterpillar tunnel. The maze will feature dead-ends, down which, lurks graphics with poisonous plants and predators that pose the same threat butterflies face daily. 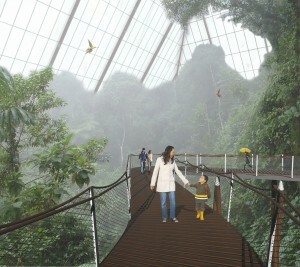 Visitors will discover the unique facts behind the beauty of the butterflies through interactive games, puzzles and various other activities. Guests will also be able to learn about gardens and plants that effectively attract the flying insects. Amazeing Butterflies will be open from Saturday, May 15 through Sept. 6. The admission is $5.95 for all ages, and it’s free for children ages three and under. For more information, please visit moodygardens.org or call 1-800-582-4673. When: May 15 – Sept. 6, 2010, 10 a.m. – 8 p.m.
Galveston – Local Swedish descendants will bring their craft skills and their ancestors’ original immigrant trunk full of family history to Moody Gardens on Saturday, April 3. Jan Faubion and her son Rob of VASA Carl Widen Lodge will share stories of their family who came to the U.S. from Sweden, host children’s story time and demonstrate folk craft making during the free Cultural Speaker Series from 1 p.m. through 5 p.m.
Speaker Jan Faubion’s great-grandparents came from Sweden to Texas through Galveston in the late 1880s. Her ancestors settled the Palm Valley community in Texas and were vital participants in the construction and settlement of Texas. Today, she and her son, Rob, continue their Swedish heritage by demonstrating Swedish straw crafts at cultural events throughout the state, including the Texas Folklife Festival and Bob Bullock History Museum. Well, folks, we have good news to share with you. 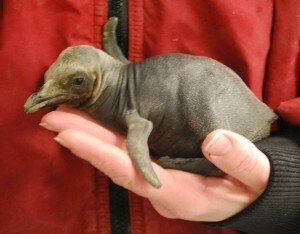 On Monday, Feb. 15, we welcomed our first king penguin chick of the year into the world! The newborn weighed in at healthy 190 grams and is growing rapidly by the minute! Lando and Littlefoot are the parents. We found shell fragments during our morning cleaning, and sure enough, egg had hatched! Throughout the breeding season, our role is to monitor that parents are, well, being the parents. We are there to make sure the birds are healthy and provide support only when needed. Being from the Southern Hemisphere of the world, and more specifically, South Georgia Island, the penguins observe opposite seasons from Texas. This makes winter in the Continental U.S. their summer time and the prime breeding season. King penguins, unlike their smaller counterparts such as chinstrap and gentoo penguins, carry the unhatched eggs and newborns in between their feet while the parents take turns. Because of the way the eggs are handled, penguin eggs are much thicker and more durable than regular bird eggs. The incubation period of this species of penguins is longer than that of the smaller species and lasts about two months. Once chicks are born, they also take longer to become full grown. Speaking of smaller species, we now have a total of four gentoo chicks, all growing healthy, in the back holding area of the South Atlantic Exhibit, where they will remain until they are fledged out and are strong enough to swim. While penguins are built to swim, as chicks, they seem to trade cuteness for buoyancy. By doing this, we can prevent any accidents. The king chick will be on exhibit with its parents for a few more weeks. Check our Webcam periodically to catch us feeding the birds or just simply watch them chill out.